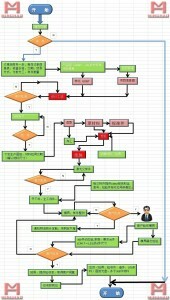 ﻿ Project Management - China Wuxi Minghao|China Wuxi Minghao Automotive Parts Co.,Ltd. After learning and accumulation of experience for many years from the high-end customers in Europe and North America constantly technological, and comprehensive skilled application of project management experience, from top management to the whole team, we can ensure that we strictly control each process of each project of the key nodes, such as customer quotation, project launch, technical scheme evaluation and sign, project progress control and customer complaint, as well as to the issue list of active communication and solve in time. For every customer, every project must have a full-time project engineer to control all the way. From design to commissioning and production, we will ensure the project in each link can be professional, efficient and timely response. And real-time evidence to report the project schedule, weekly summary issue list, and also for different stages we will close the questions in time.According to each phase of the checklist in advance planning and work schedules planning, coordinate internal resources, and report actual status to the customer to ensure that the customer project is controlled, as well as the internal project under control. We will regularly or not regularly hold the project meeting to review the implementation of production schedule and quality assurance to take specific countermeasures on relevant issues, strictly control the timely and effective for the production plan and implementation. We have experienced bilingual project engineer, from begining to end of project will provide professional services for you to solve trouble back at home in the language. Our project engineer will provide you with a regular progress status report every week, sending the standard timing schedule, and aiming at specific problems to communicate effectively and respond quickly. For tooling side, our project engineer will be accompanied by and track mould debugging or running situation, shall complete the die debugging and sample test, provide an accurate inspection report,and at last make sure to provide you with high quality, high standard tooling.